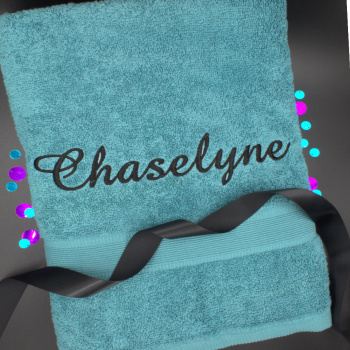 Personalised bath towel in fashionable teal colour. 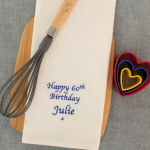 Personalised bath towel in fashionable teal colour. Makes a special gift for all ages that is very useful too. 500gsm cotton bath size 75x125cm towel.